Wireless uploads of big files take for-ev-er. But researchers at Georgia Tech University have plans for an antenna made of crazy thin graphene that would let you transfer a whole terabit of data in just one second. Within a couple of feet, researchers could move a terabit per second, but in theory, from a closer range, you could move as much as 100 terabits a second. That's about 100 high-def movies in less time than it takes you make a cup of coffee. Graphene, you crazy. 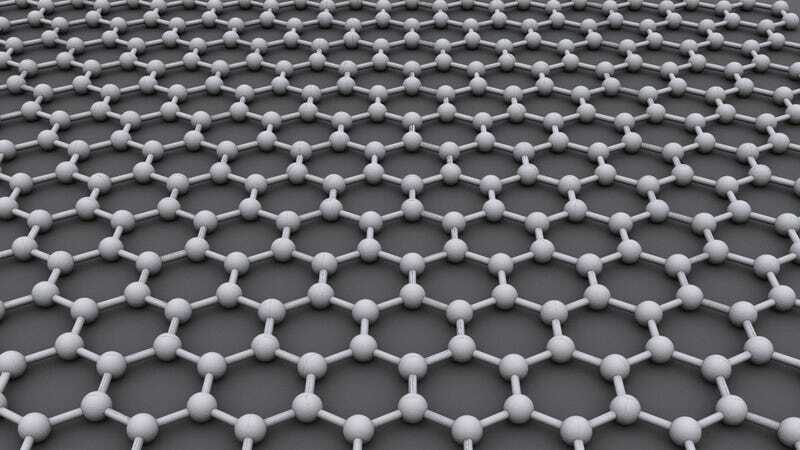 Graphene could be shaped into narrow strips of between 10 and 100 nanometers wide and one micrometer long, allowing it to transmit and receive at the terahertz frequency, which roughly corresponds to those size scales. Electromagnetic waves in the terahertz frequency would then interact with plasmonic waves-oscillations of electrons at the surface of the graphene strip-to send and receive information.